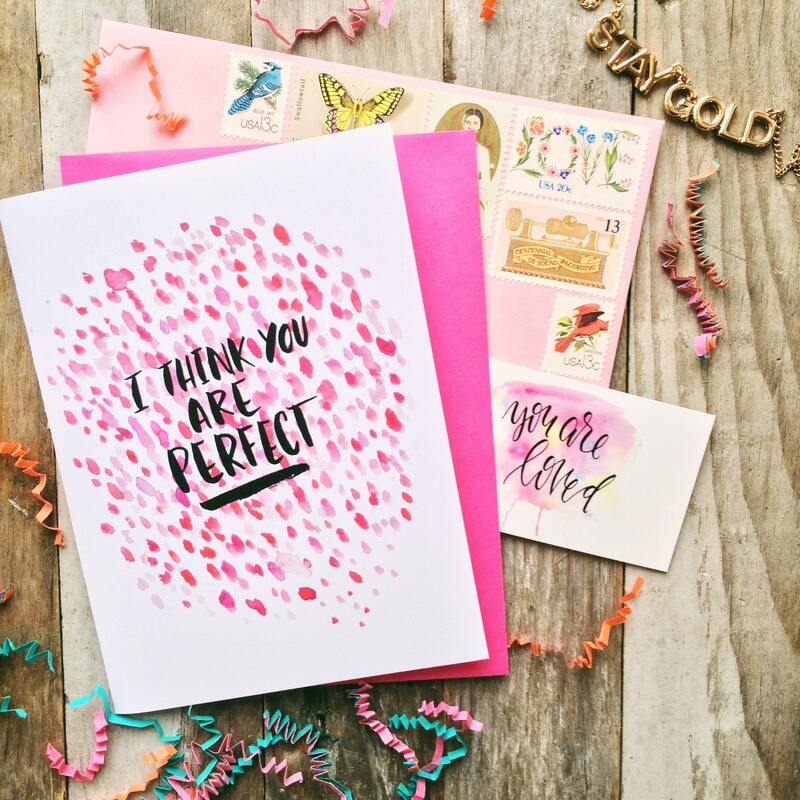 What better way to tell your bestie you love her this valentine's day than to say - I think you are perfect! The bright abstract watercolor would also be 'perfect' for everyday encouragement to someone you love! What a great bridesmaid card! Professionally printed on heavy weight card stock and includes vibrant pink french point envelope. A6 sized.